Both cars offer plenty of space up front, plus loads of seat and steering wheel adjustment, so no matter your build you’ll be able to get comfortable. However, the Mustang edges ahead with full electric seat adjustment, including lumbar support. The M235i is also slightly hampered by offset pedals. 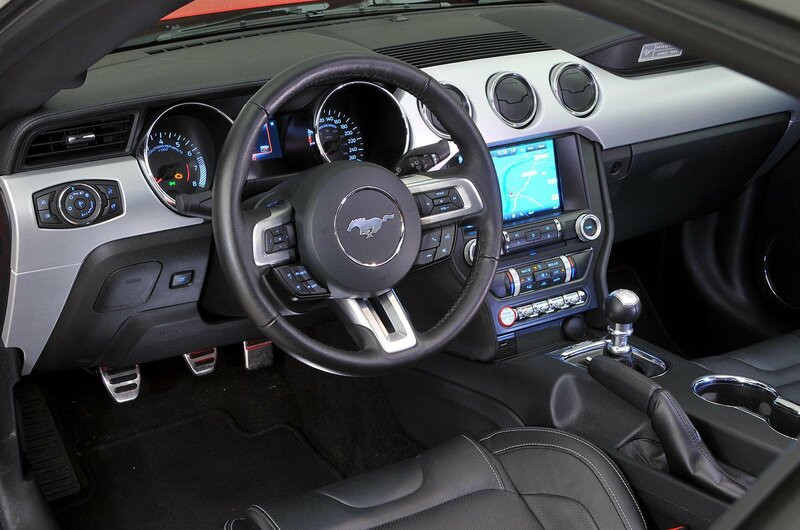 The Mustang feels airy inside, thanks to its wider interior and more open cockpit design; this contrasts with the more cosseting and wrap-around feel of its rival's dashboard layout. The M235i looks modern and businesslike, whereas the Mustang’s 1960s-themed styling is that bit more interesting. Despite its retro ambience, the Mustang has a centrally mounted touchscreen infotainment system, although it’s a faff to use compared with BMW’s excellent iDrive. 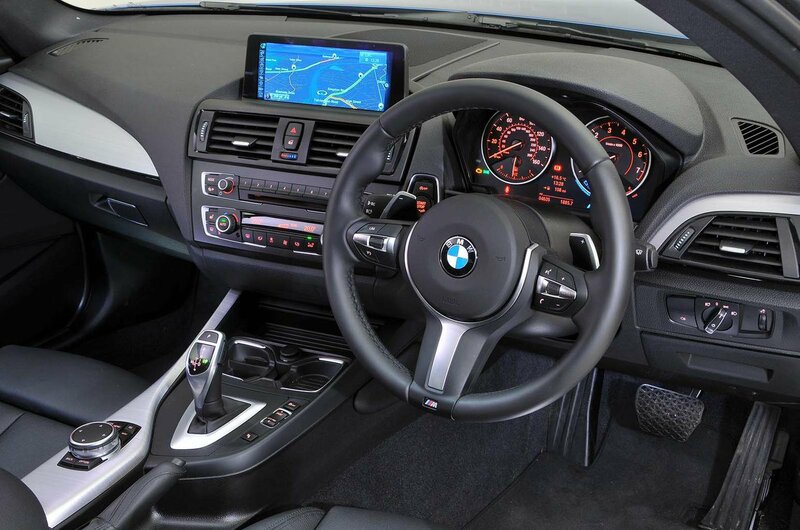 The M235i also comes with sat-nav as standard. This costs £795 on the Mustang, although it includes an upgraded sound system as well. The M235i offers a sense of quality that the Mustang simply can’t match. The switchgear has a precise, well-damped action, while the materials are a mix of soft-touch plastics and gloss black and chrome highlights. The Mustang’s metal fascia smartens up the inside, but there’s no disguising the cheaper-looking plastics and flimsier-feeling controls. The M235i is smaller but its rear seats will suit you better if you regularly carry more than one passenger, because they’ll just about take two average-sized adults. There’s a reasonable amount of leg room in the rear of the Mustang, but head room is truly terrible. Both cars are more evenly matched on boot space, though. 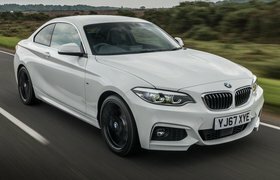 The Mustang’s boot is slightly bigger and can be made larger still by folding down the standard split-folding rear seats (a £175 option on the M235i), but the M235i has a wider boot opening with a lower loading lip.